Home » Health & Environment Articles & Post » 11 Plants Native Americans Used to Cure Almost Everything. owever, the following 11 plants were used by this tribe in the treatment of almost every single illness and health condition. However, before we explain their properties, we must warn you that they can be quite strong and dangerous if not used properly. hese delicious berries are rich in important nutrients, such as vitamin A, vitamin C, vitamin B6, vitamin E, vitamin K, riboflavin, thiamine, folate, and niacin, as well as potassium, zinc, calcium, magnesium, iron, and phosphorous. Furthermore, they are abundant in essential amino acids and dietary fiber. 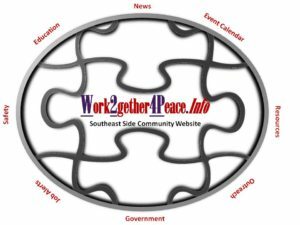 EPA to Remove Manganese-Contaminated Soil on Southeast Side by WTTW. Press Conference at City Hall: Coalition to Ban the Landfill and I are here tell the Army Corps of Engineers that we deserve more in the 10th Ward. 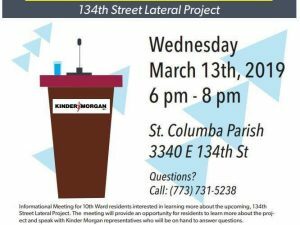 Informational Meeting for 10th Ward residents interested in learning more about the upcoming, 134th Street Lateral Project.